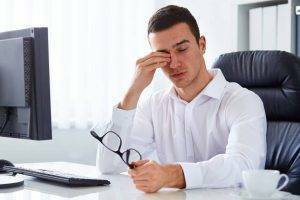 How Can Your Eye Doctor Treat Dry Eye & Blepharitis? Over 50% of all patients suffer from some type of dry eye and blepharitis symptoms. BlephEx® is a new, in-office procedure that allows your doctor to take an active role in treating dry eye and blepharitis. BlephEx® removes excess bacteria, biofilm and bacterial toxins, the main causes of inflammatory dry eye and lid disease. With regular treatments, patients finally enjoy a life free from the chronic and irritating symptoms associated with dry eye and blepharitis. Did You Know BlephEx® Can Treat 5 Symptom Types? What Are the 5 Primary Benefits of BlephEx®? Blepharitis is the #1 cause of dry eyes - and BlephEx® cures it! BlephEx® removes the main causes of inflammatory dry eye and lid disease. Patients report that their eyes feel fresh and clean after BlephEx® treatment. BlephEx® eliminates the need for harsh eye scrubbing. Regular BlephEx® treatments will free you from chronic and irritating symptoms. What Are 5 Highlights of BlephEx®? It is a simple, painless, in-office procedure performed right here at our office. BlephEx® can save hundreds of dollars in the costs of drops and artificial tears. Many patients feel a difference before they leave the doctors practice. Your eyes are going to feel better than they have felt in years! Blepharitis is a chronic, inflammatory disease of the eyelids caused by an overgrowth of normal bacteria living along the lid and the base of the eyelashes. Anyone can get blepharitis at any age, but the prevalence increases with age, since as we get older, we make fewer natural antibodies in our tears. This overgrowth of bacteria causes crusting along the eyelid, and creates a sticky biofilm that harbors bacterial exotoxins. Since the eyelid margins are difficult to clean, this overgrowth of bacteria, scurf and biofilm can build up over many years. The sugary biofilm allows even more bacteria to flourish, not only causing a multitude of irritating Symptoms, but eventually chronic inflammation, due to the inflammatory nature of exotoxins. The inflammation, in turn, adversely affects all of the structures in the eyelid, namely, the tear glands. Constant eye irritation, foreign body sensation and chronic dry eye disease are the end result if not treated. Now, thanks to BlephEx, your doctor can directly clean and exfoliate your eyelids and lashes, and remove the biofilm, which will almost immediately improve your symptoms and help control the long-term damage to your tear glands. What are the traditional treatments? The traditional treatment is for the patient to scrub the eyelid margins with baby shampoo on a cotton swab or one of the commercially available lid care products squirted on a fingertip. This can be a difficult procedure to perform at home and has limited effectiveness. Stage 1: Early biofilm formation with swelling of the lash follicles, lash misdirection. Stage 2: Inflammation of meibomian glands with plugging. Stage 3: Lacrimal involvement leads to aqueous insufficiency with little to no tear lake. Stage 4: Chronic inflammation leads to a breakdown in the structural .integrity of the eyelid leading to lid laxity, entropion, and ectropion. Fortunately, there is a revolutionary new treatment for blepharitis. Developed by a board certified ophthalmologist, BlephEx® is an in-office procedure performed directly by your eye care provider. With the BlephEx® procedure your doctor can now take an active role in treating blepharitis instead of simply relying on your ability to perform semi-effective home lid scrubs. With BlephEx® the doctor thoroughly and precisely eliminates the scurf and bacterial debris and biofilm that builds up along the lid margin. These are the main causes of inflammatory lid disease. The risk of blepharitis increases as a patient ages. A study by Walter Reed Hospital determined that incidences of blepharitis in the U.S. steadily increase from 3% of 18-20 year olds to a staggering 71% of those over 65. That equates to more than 40 million individuals in the 65+ age group with the total number of patients with blepharitis in the U.S. alone is Over 82 million people. According to a study conducted in 2009, “most ophthalmologists and optometrists report that blepharitis is commonly seen in their clinical practice in 37% and 47% of their patients, respectively, and it is widely agreed that the meibomian gland dysfunction caused by blepharitis is the most common cause of evaporative dry eye disease”. Is the BlephEx® treatment covered by insurance? While BlephEx® is not currently covered by insurance, it is a very affordable procedure, especially when compared to the long term Costs of dry eye treatment, which averages $800/yr. If you have blepharitis, you will not only save the hundreds of dollars spent on artificial tears, Cyclosporines, antibiotics and antiinflammatories, but for the first time, will actually enjoy the benefits of an effective treatment. Blepharitis can be referred to as the grandfather of all eyelid diseases. It is widely responsible for symptoms ranging from itching, a need to constantly rub the eyes, a film over vision, fluctuating vision, redness to severe dry eye disease. BlephEx is a new, in-office procedure that allows your eye doctor to treat blepharitis by eliminating the biofilm and bacterial toxins that cause inflammatory lid disease and dry eye, and improving the overall health of the eyelid. If you have tired, itchy, burning or dry eyes you could be one of the millions.